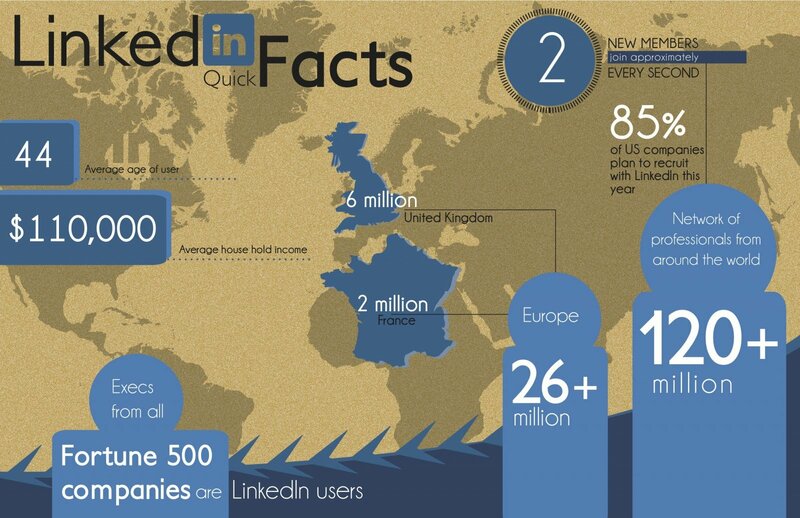 LinkedIn has become by far the most powerful online weapon in the job-seeker’s arsenal, and is especially useful for international job hunting where personal networks aren’t as strong. Being successful with LinkedIn allows you to expand your base of contacts, which in turn increases your prospects of gainful employment in Canada. LinkedIn allows you to organize your professional connections, build an online presence and leverage common connections with other members of your network. The purpose it to build connections that can assist you in meeting your professional objectives. Whether you are searching for a job, keeping up to date on your field or looking to advance your career, you will find LinkedIn can help you achieve your goal. Build rapport — Posting topical articles or comments on your profile or selected groups can help you engage with your existing network and build new contacts. Warm introduction — LinkedIn allows you to establish degrees of separation when browsing for target individuals. Instead of a cold invitation to a stranger who does not know you, you may avail of the opportunity to ask a common connection to introduce you. This is a very powerful networking tool. Cold introduction — If you wish to be particularly proactive about exploring new opportunities, don’t be afraid to ‘reverse headhunt’. This essentially means identifying suitable companies or individuals to contact directly through the LinkedIn messaging feature. Providing a customized message explaining why you wish to connect is vital as it shows that you have taken the time to study their profile. LinkedIn allows you to search for contacts by name or import your email contacts to find other potentially useful contacts who are using LinkedIn. Join LinkedIn groups according to your industry, professional organization and regions to meet other professionals with common interests and keep you up to date on developments in your industry. Add a LinkedIn badge to your email signature. LinkedIn is a fantastic tool for promoting your career interests, so ensure you maintain a complete profile and communicate a positive, professional online image. First impressions last. A concise heading and title is important. These two parameters are crucial, and it’s important that you convey the appropriate message to viewers. For example, if you are job hunting, you can convey that by stating you are “seeking new opportunities in . . . ” on your profile. Recommendations are handy, so ask colleagues, direct supervisors and happy clients to endorse your work as this greatly enhances your professional image. Professional photo — A professional photo adds personality to your profile. Clear objectives — Similar to your CV/resume, your profile should include a personal summary that is clear and concise. Relevant detail — Provide as much detail as possible about your results and achievements during your current and previous roles. Keyword loading — Optimising your profile for searches is critical. Loading your profile with keywords associated with your desired role will return your profile in searches by recruiters. If you do not want your desire for a new role to be blatant, it is a good idea to embellish your profile with subtle keywords such as ‘seeking’, ‘opportunities’ and ‘new challenges’. Otherwise, being explicit with the fact that you’re are actively looking will attract the attention of hirers. Increase your visibility — Joining relevant groups and being active in group discussions can increase your footprint within industries and can drive traffic to your profile. Custom URL — By default your public link to your profile may contain a lengthy URL that looks like “tr.linkedin.com/pub/johnadams/70/887/b01/”. Ensure you shorten the URL if you would like to place this link on your resume or signature. See our How to create a short, custom LinkedIn profile URL guide for instructions. Join Moving2Canada’s growing network of professionals here.